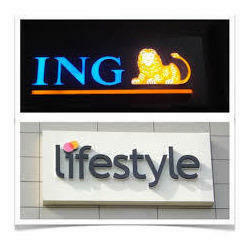 Offering you a complete choice of products which include led acp sign board. We are one of the leading manufacturers and suppliers of LED ACP Sign Board. The offered light emitting diode acrylic pole signboard is commonly used at shopping malls, retail outlets and traffic crossings. Our supplied light emitting diode acrylic pole signboard is highly liked and appreciated by the clients, owing to the hard wearing and durable construct.